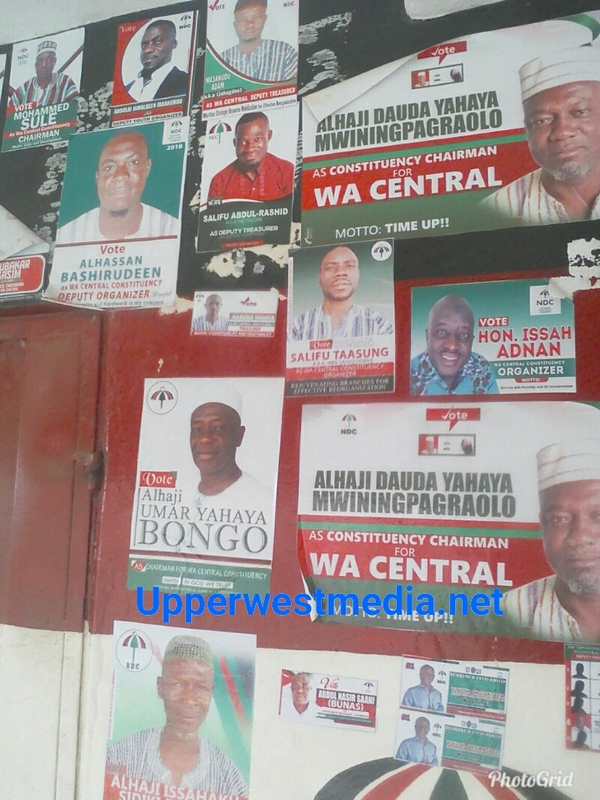 The Front line: Who wins ‘ NDC Chairmanship’ Wa Central? Your guess may be right, it could be any of them. We have five contestants, some new faces joined the race, the battle line has been drawn, pulses changing. The four factors of elections would chip inn as usual. Per the factors, which has dominance over the other? How will each factor Influence? Message would only influence 20℅ in decision making. People assume politicians always know how to talk and chose to rehearse and pick words carefully before meeting delegates. Money would influences a bit much because people are tired of the stiffness and greed and would want to detect a giver through this approach. Tribalism would engineer that much because of the term ‘fufuglihi’ this would engineer people to select their own rather than others. Religion won’t influence much because they are all Muslims except for the fact that others are superior based on the ‘Alhaji’ Tag. So this would give a clue to who becomes the next constituency chairman. Research by Tuorimuo Elvis Philip, he is an entrepreneur and researcher into social issues. The research suggested moving in teams at the constituency level would only worsen chances of candidates as delegates are proposing an overhaul. June 16, 2018 in Local News.